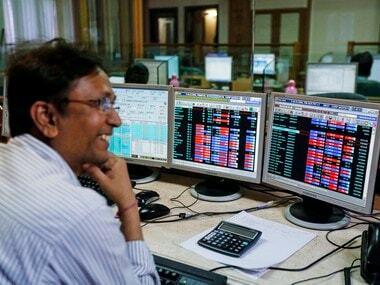 Mumbai: Continuing its upward journey for the eighth consecutive session, market benchmark BSE Sensex ended marginally higher on Wednesday, following gains in Infosys, HDFC twins and L&T amid uninterrupted capital inflows by foreign funds. However, after the emergence of profit-booking and losses in select heavyweight stocks, the index turned negative and hit a low of 38,316.21 before returning in positive terrain to close the day higher by 23.28 points, or 0.06 percent, to 38,386.75. The broader NSE Nifty, however, ended 11.35 points, or 0.10 percent, lower at 11,521.05 after shuttling between 11,556.10 and 11,503.10 during the session on expiry of March series derivative contracts. The market will remain closed on Thursday on account of Holi. 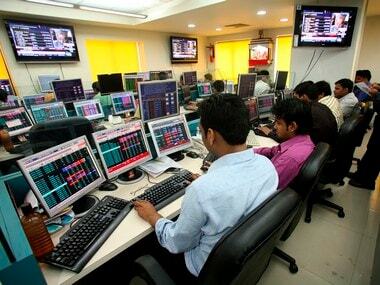 Infosys was the top gainer in the Sensex pack, rising 2.36 percent, followed by HDFC Bank up 1.39 percent. Other gainers included Yes Bank, 1.27 percent, L&T 1.19 percent, Sun Pharma 1.07 percent, HDFC 0.98 percent, Vedanta 0.84 percent, SBI 0.23 percent, HCL Tech 0.23 percent, Kotak Bank 0.20 percent, Asian Paints 0.07 percent and RIL 0.03 percent. Among laggards, NTPC suffered the most, cracking 4.29 percent and ONGC plunged 3.28 percent. 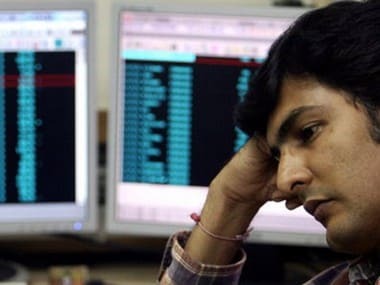 Other losers were Coal India, Tata Steel, Maruti Suzuki, Bajaj Finance, Bajaj Auto, Tata Motors, ICICI Bank, M&M, Bharti Airtel, Axis Bank, HUL, IndusInd Bank, PowerGrid, TCS, ITC Ltd and Hero MotoCorp, falling up to 2.43 percent. Stocks of oil marketing companies like BPCL, HPCL and IOC, however, faced selling pressure and lost up to 5.32 percent after global crude prices soared. 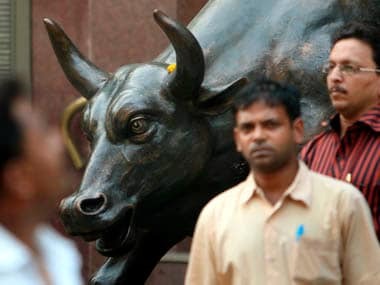 Sector-wise, the BSE realty index gained the most by rising 2.21 percent, followed by IT index up 0.93 percent, teck index 0.55 percent, capital goods 0.48 percent, healthcare 0.08 percent and consumer durables 0.02 percent. However, oil and gas index emerged the worst performer by falling 2.26 percent and PSU index lost 1.75 percent. Power, metal, auto, FMCG and banking indices too ended in the red. The broader markets ended in a negative terrain with the BSE mid-cap index falling 0.38 percent and small-cap index shedding 0.33 percent. Shares of Reliance Communications further zoomed 10 percent to hit the highest trading permissible limit for the second day in a row Wednesday after the company cleared dues of Swedish service provider Ericsson. The scrip rose sharply by 10 percent to Rs 4.84 -- its upper circuit limit -- on the BSE. 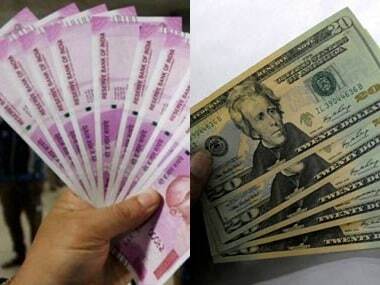 Stocks of software exporters were the centre of brisk activity after the rupee slipped below the 69-mark against the dollar. Software exporters' majority of revenues come in the dollar. "We have witnessed an 8.6 percent return off the lows in February, which makes the current market rise the sharpest since March 2016. Hong Kong's Hang Seng fell 0.31 percent, Shanghai Composite Index shed 0.01 percent, Korea's Kospi fell 0.02 percent, while Japan's Nikkei ended 0.20 percent higher. In Europe, Frankfurt's DAX fell 0.87 percent, and Paris CAC 40 shed 0.05 percent. London's FTSE was down 0.01 percent.